With prices upwards of $100 to $200 for a full cord (depending on where you live), firewood isn’t cheap. If you burn it on a regular basis — for warmth, fire pits, campfires, cooking, etc — you can spend quite a fortune. But even cutting and harvesting your own firewood is no easy task, which is why it’s important to protect your firewood from rotting. Whether you buy it or harvest it yourself, it’s frustrating when you discover a pile of rotten firewood. It doesn’t burn as well (if at all), and it’s likely harboring colonies of insects and pests. In order for wood to rot, it needs four things: moisture, wood, oxygen and warmth. Being that moisture, oxygen and warmth are all around us, it’s easy to see why rot is such a problem. There’s practically no way to prevent natural, unprocessed wood from the rotting. Thankfully, though, there are a few steps you can take to slow down the process and prolong the life of your firewood. One of the most common mistakes made when storing firewood is placing it directly on the ground. Why is this a problem? Well, there’s lots of moisture sitting in the soil. And when you place firewood directly on the ground, some of that moisture seeps up and into the wood. Furthermore, storing firewood directly on the ground increases the risk of termites, which can be equally as destructive. How do you keep firewood off the ground? There are several solutions, one of which is to build a square-shaped perimeter using some pressure-treated 4×4 lumber. Another idea is to place a wooden pallet underneath your firewood stack. As long as it’s not sitting directly on the ground, it shouldn’t absorb moisture from the soil. You can also prolong the life of your firewood and discourage rotting by storing it in a well-ventilated area. If you have a shed, for instance, crack a window so air doesn’t become stagnant. The increased airflow helps to dry firewood, protecting it from rot. In addition to storing it off the ground and in a ventilated area, cover your firewood with a tarp. Something as simple as a cheap fiberglass tarp can make a world of difference in prolonging the life of your firewood. No camping experience is complete without a fire. Campfires bring people together, promote a social environment, provide warmth, and they offer a means of cooking food. However, you should carefully choose the right location to build a campfire, which is something we’re going to discuss in today’s blog post. When choosing a location to build a campfire, make sure there are no overhanging tree limbs, branches or brush. Even if the flame doesn’t reach the height of an overhanging tree limb, it may produce enough heat to ignite it — or a stray ember could float into the air and reach the overhanging branch. It’s always a good idea to research the local and state fire restrictions before camping. Even if it’s legal to build a fire in your backyard, perhaps the park or forest where you intend to camp prohibits campfires due to the risk of a wildfire. Some parks allow campfires, but only in designated camping areas. Failure to follow these rules could cost you big bucks in fines, so find out if there are any fire restrictions beforehand. Depending on where exactly you are camping, there may be existing fire rings around. Other campers often build and leave circular-shaped arrangements of rocks in which to build campfires. If you discover one of these fire rings, consider building your campfire here. You should also avoid building campfires at the base of a hill. If your campfire grows out of control, it can travel uphill fast. This is because heat rises, so fires naturally gravitate upwards. 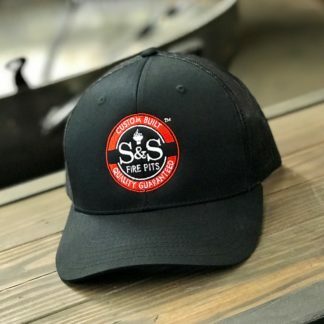 Ideally, you should build your fire either on top of a hill or on a flat and even surface, either of which is a safer solution than building it at the bottom of a hill. What is duff and why should you avoid when building a campfire? Duff is the layer of rotting, decomposing material between the ground soil and pine needles. To an unsuspecting camper, duff may appear to be nothing more than dirt. However, it often contains dry wood and plant material, providing enough fuel to turn a small ember into a smoldering brush fire. Choose a location for your campfire that’s away from duff. 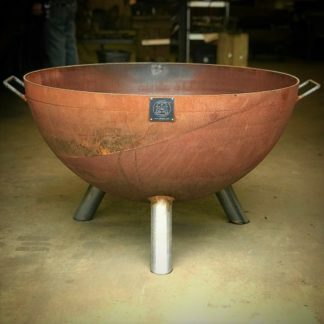 Fire pits aren’t used strictly for their visual appeal; they can also be used for cooking. And with summer right around the corner, there’s no better time than the present to get outside and grill. 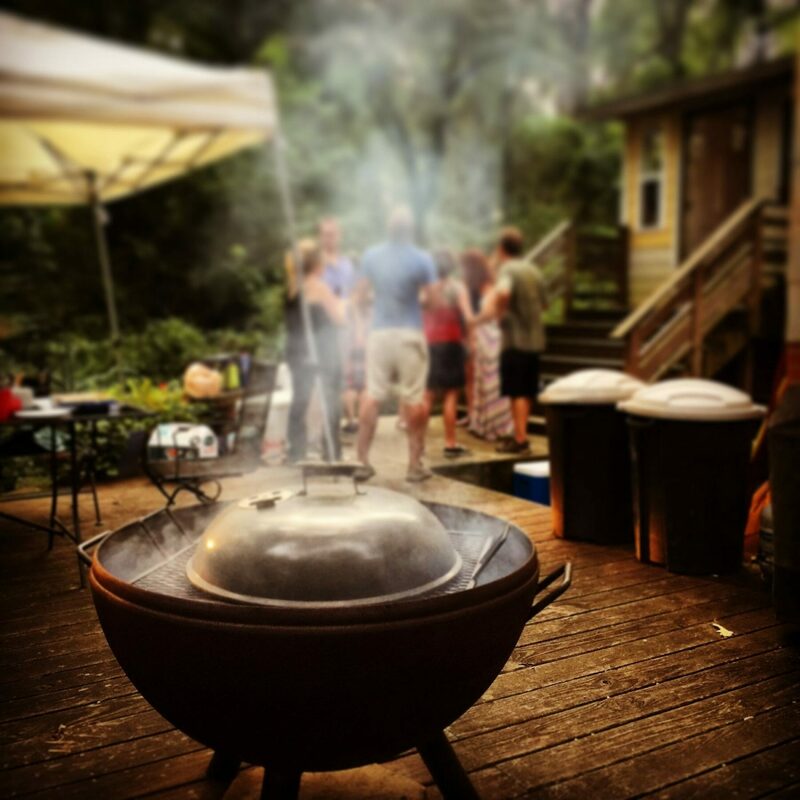 However, there are a few things you should know about cooking on a fire pit. Try to get into the habit of oiling your cooking grate each time you use it. Treat your grate just like cast iron. We make a habit of spraying or brushing the cooking grate before each time we cook on it. You don’t need to clean it with soap or water either, just use a grill brush and oil it. Also, don’t leave your cooking grate outside in the elements. Put it in a covered area once you are done cooking. The more you cook on your cooking grate the more seasoned it will become. Always start your fire early when you plan to cook over the pit. We recommend starting a good sized fire 1 1/2 – 2 hours before you cook. This will allow for you to get a good bed of coals in your fire pit. Then depending on what you are cooking will determine the amount of heat you need. For example if cooking 1/4 chickens or wings you want to cook those slow and low. This will allow you to build up the crust as well as cook the inside of the chicken. If you put chicken on a hot grill you will do nothing but burn the skin leaving the inside raw. When cooking steaks bring the temp up depending on how thick and what desired internal temperature you want. One last tip is try and find or if you have an old Weber lid, you can drop that right on top of your cooking grate to work just like a covered grill. Don’t underestimate the importance of using the right wood when cooking on a fire pit. 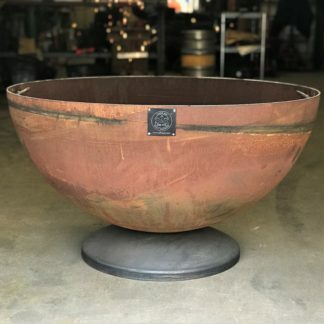 There are several different varieties of wood that can be used when cooking on a fire pit, each of which has its own unique characteristics. Hickory, for instance, is a hot, slow-burning variety that produces a strong and sweet flavor. These characteristics make it ideal for cooking and smoking ribs or pork tenderloins. Oak is another popular choice, also burning slow and hot while producing medium flavor. Regardless of which wood you use, make sure it is NOT Pine or pressure-treated Pine. Pressure-treated lumber contains harsh chemicals and toxins that could seep into your food. After purchasing and setting up your fire pit, you may feel inclined to give it a “test run.” Before doing so, however, you should first check to make sure you have the appropriate wood. Some people assume that all wood is the same, but this isn’t entirely true. Subtle nuances in the species/variety, moisture content, added chemicals, etc. 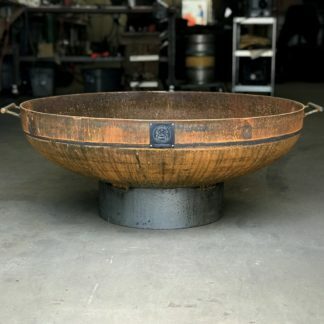 can yield big differences in a fire pit. 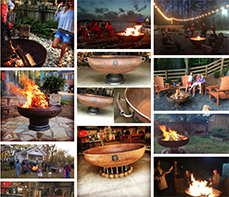 So, how do you know which wood is best suited for your fire pit? Even if it’s readily available in your surroundings, it’s best to avoid burning pine in your fire pit. Pine burns significantly faster and hotter than many other varieties of lumber, making it a poor choice for fire pits. Under no circumstances should you attempt to burn treated lumber or wood in a fire pit. While this may seem harmless enough, it can place you and your family at risk for illness. Pressure-treated lumber is often blasted with chromated copper arsenate, which is essentially a type of poison. Upon burning treated lumber, it will release toxic fumes into the surrounding environment. Steer clear of treated lumber and look for a different source of fuel for your fire pit. Ideally, you should stick with a dried wood, native wood that grows naturally in your respective region. In Georgia, for instance, oak and hickory are often used in fire pits because they are native here. Oak and hickory are both excellent choices, as they burn slow, emit a moderate amount of heat, and are easy to store. Don’t worry if you are unable to harvest the wood yourself, as most suppliers will gladly deliver and stack it for you. Full Cord vs Face Cord: What’s the Difference? You’ll probably hear the terms “full cord” and “face cord” being used to describe wood for sale. A full cord is wood that is 4’x4’x8′, whereas a face cord is one stack of wood measuring 4′ tall and 8′ long. Tip: when storing wood to use in a fire pit, it’s recommended that you keep it covered and off the ground. When wood is stored directly on the ground, it becomes susceptible to rot, termites and other pests. Covering and storing your wood just a couple inches off the ground, however, will keep it safe and dry.